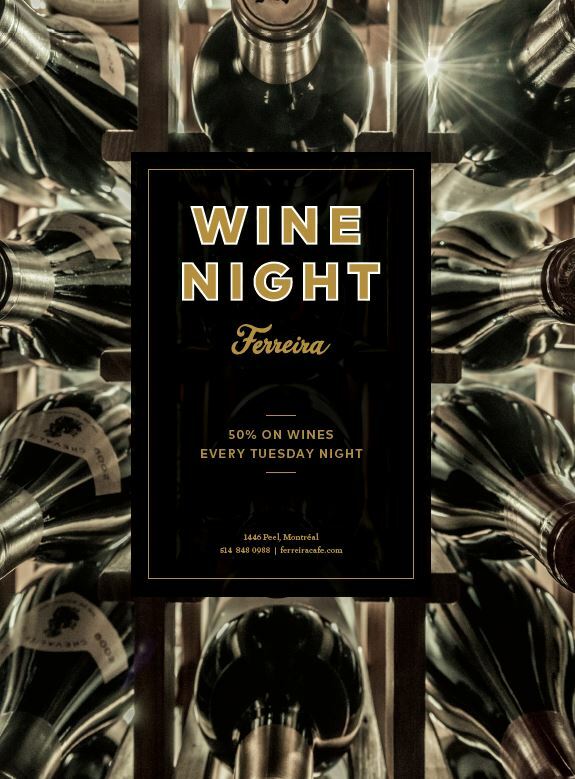 Ferreira‘s Wine Nights are back! As of March 14th, 50% on selected wines! Every Tuesday night at Ferreira, you now have access to a wide selection of wine from our impressive wine cellar, including several private imports, at only half the price! For a second year, Wine Night Ferreira offers the opportunity to savour the finest in Portuguese gastronomy accompanied by a choice wine at an affordable price. The perfect night to share a bottle of wine between friends and enjoy an extraordinary dining experience in a casual atmosphere!